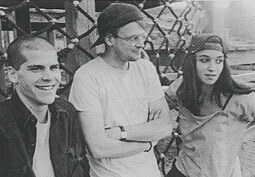 Minneapolis band which was formed in 1992 by Joachim Breuer (Bastards), Kristen Pfaff and Matt Ensminger. In 1993, Kristen Pfaff joined Hole and was replaced by Wayne Davis. In 1994 she took a break from her work with Hole and she had plans to rejoin Janitor Joe on their spring tour, but in June of that year she was found dead from an apparent heroin overdose. In the wake of her death, Janitor Janitor broke up, while Breuer and Entsminger started Gnomes Of Zurich.